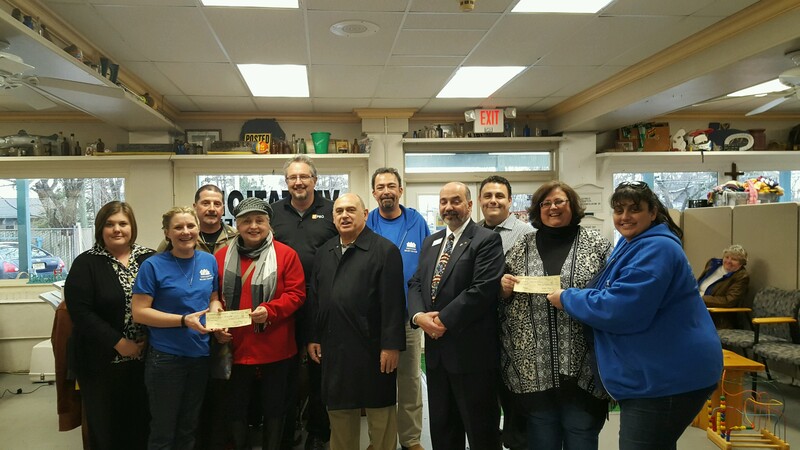 With a recent donation of $3,000, the Brick Township Rotary Club has donated a total of $33,000 to the Visitation Relief Center, a charitable organization that was formed after Superstorm Sandy to assist in relief efforts. The latest donation is going to purchase tools for the Tool Lending Library. Through the District Grant Program, Rotary District 7500 and the Rotary Club of Brick Township have partnered to raise and donate over $33,000 to the VRC. The monies have been used to fund the Tool Lending Library, purchase an ATV and to support other VRC efforts. The VRC, located at 725 Mantoloking Road, next to Visitation Roman Catholic Church, is a “one-stop” recovery and relief center for individuals and families affected by Superstorm Sandy. The Rotary Club is a civic organization that works on projects to benefit the community. Proceeds from their fund raising events helped fund the latest donation. The Rotary Club of Brick meets weekly at the Woodlake Country Club on Thursdays at 12:15 p.m. If you would like to join them for lunch, please call club President Ginger Reinhold at 732-920-9010. To learn more about them they invite you to “like” them on Facebook at Rotary Club of Brick Township and visit their website at www.brickrotary.com.